Welcome to Allsup Medicare Advisor. Whether you're going to be eligible for Medicare soon or already have Medicare, Allsup Medicare Advisor can help you compare your Medicare options to ensure that you get the plan that best fits your needs. With Allsup Medicare Advisor, you'll get customized information just for you, provided to you by Medicare experts who know what you're going through and can walk you through the Medicare maze. To see if Allsup Medicare Advisor is right for you, all you need to do is click the link below to start our screening to determine your eligibility. Or before you get started, check out our Allsup Medicare Advisor demo. Once you've completed the screening, if you qualify and decide to use Allsup Medicare Advisor, you'll submit payment, then complete our questionnaire. Your information will be sent to our specialists who will research all the Medicare options available to you and will provide you with a customized report tailored to your needs. 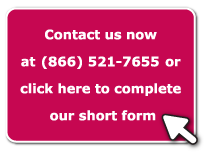 If you need help enrolling, we can do that, too.